The huge increase in data availability and the digital revolution are drastically changing the financial system, creating new opportunities (FinTechs) but also new risks. 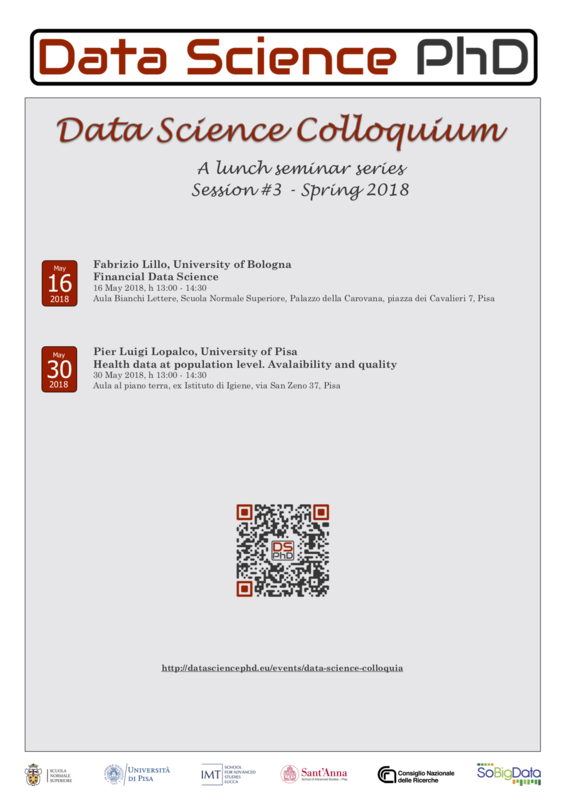 In this talk I will review some aspects of Financial Data Science focusing primarily on the assessment of risk at the individual and systemic level. In particular I will focus on the relation between information (from news, blogs, Twitter, etc.) and price and on the role of financial networks (payments, credit, etc) in propagating risk. Some of the methodological solutions to the above problems have a range of applicability beyond the financial domain.